The capacity that narrative has to reveal psychological truths about human nature is often overlooked. To illustrate this point we will take a look at the character of The Joker in Batman. 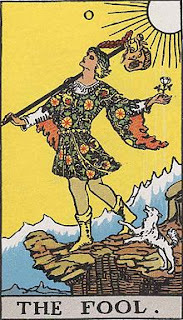 We are familiar with the idea of The Fool as an archetype. In the Tarot deck is The Fool is also the character which takes us through the great mysteries of life, and that is worth bearing in mind in terms of what I’m about to say about The Joker. Historically the jester’s place in the court was as the one person who could speak the truth to the king (representing power) using comedy as a cover. 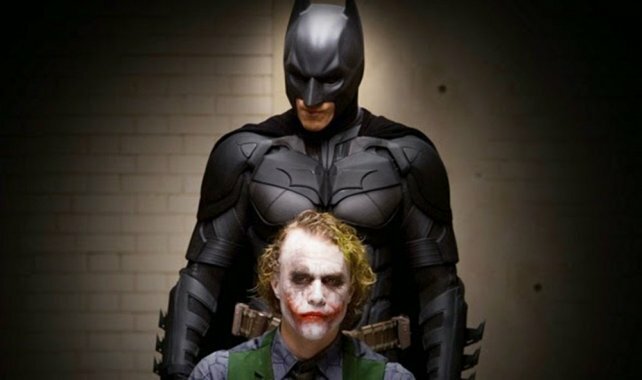 In the Christopher Nolan directed film The Dark Knight, Heath Ledger’s character reveals some dark truths about reality and human nature. I think Nolan understands the archetypal power of the fool far more deeply than any other adaptors of the Batman story have. I’ll paste a couple of clips to show you what I mean. In the interrogation scene in which Batman and The Joker finally meet there I think at play is this Jungian idea of The Shadow. Jung defined the Shadow as the darker side to our consciousness, which he believed we have to confront and get under control in order to be fully integrated psychologically. It is wrong to think of it as our 'evil' side- it is more everything about us that is repressed and under-developed (in which respect it could be seen as 'immoral'). We have this idea we have to beat, or destroy our dark side- but that is actually incorrect. 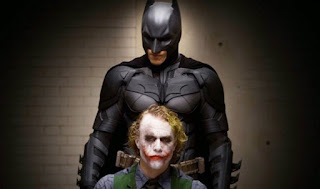 When Batman tries to violently attack his shadow- represented by his nemesis the Joker- his shadow does not yield to any violence and in fact laughs at him and basically says ‘that is not the way to beat me.’ In fact- the shadow is not to be beaten, but to be assimilated. I think the reason why he is scary as a character is because (and this is something I noticed psychopaths do when I was a psychologist) he uses language in an instrumental way to get what he wants in that moment. The veracity of his statements are of no interest to him. 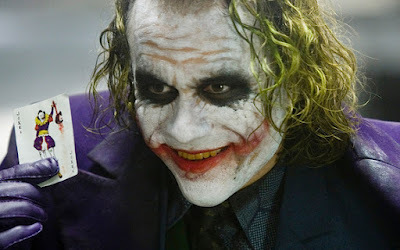 We see that in the way The Joker slips between roles. At first he is ‘tonight’s entertainment.’ Then he becomes an interrogator. Talking to the elderly man, who declares himself unintimidated, he becomes an avenging son, saying ‘you remind me of my father’. Then, talking to the women he becomes a seducer, and then the victim of a disgusted wife. This is all within an overarching constructed persona- that of The Joker. What also makes this personification so unnerving is that he evokes the idea of the Jungian shadow by playing the role of the debt collector, the person who’s come to settle the unpaid bill (and the idea of a character coming to make you address your sins is an old one). Mark Haddon's short story 'Wodwo', from the collection The Pier Falls shows a man arriving at a family gathering on Christmas Day whose presence unpicks the vanities and lies of an arrogant TV star, thereby showing how quickly life can unravel with the wrong kind of attention. 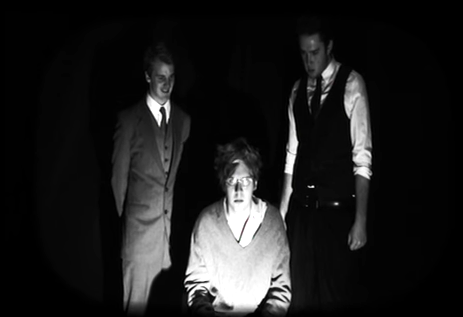 Harold Pinter also explores this idea in his famous play The Birthday Party, when a man hiding from his past in a distant Bed And Breakfast is found and then hounded by two men representing the establishment, Goldberg and McCann (here).